Ahead of its season 9 finale and way ahead of its season 10 debut, Will & Grace has been renewed for an eleventh season. The news was announced today at PaleyFest by the series stars. The show returned in September 2017 after more than ten years off the air. The season started with huge ratings, but has since dropped to strong-yet-much lower numbers. The series is NBC's highest-rated comedy this season thus far. 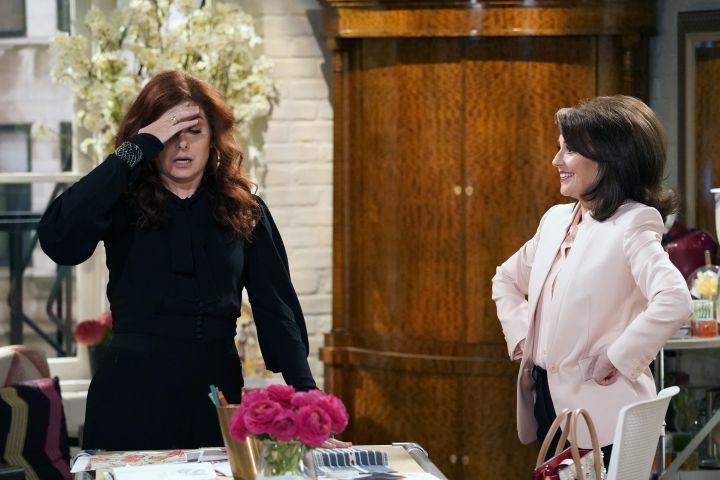 Will & Grace stars Debra Messing, Eric McCormack, Megan Mullally and Sean Hayes in lead roles. In addition to the renewal, NBC has also increased the episode order for the previously-announced 10th season to 18, which the 11th season will also consist of. You can check out reviews of the series by TVRG's Rebecca Bunch here, and see the show's season 9 ratings here.